Most years we try to get a November splitboarding mission under our belts ahead of the coming winter season and this year was no different. Early snow had come measured in the meters and after a quick reconnaissance split trip in our local area of Chatel we decided to head on over to the Grand St Bernard area to find some action. 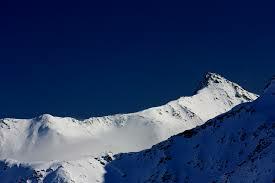 The Great Saint Bernard Pass, in French language named Col du Grand Saint Bernard, runs almost exactly north to south and connects Switzerland, the Canton of Valais in the north, to Italy and the Aosta Valley in the south. The col sits at 2469 m and is the third highest road pass in Switzerland. The Col du Saint Bernard is also famous for its Hospice at its top. Originally founded in 1050 as a refuge for travelers it is still a working monastery but these days mainly operates as a year round refuge. 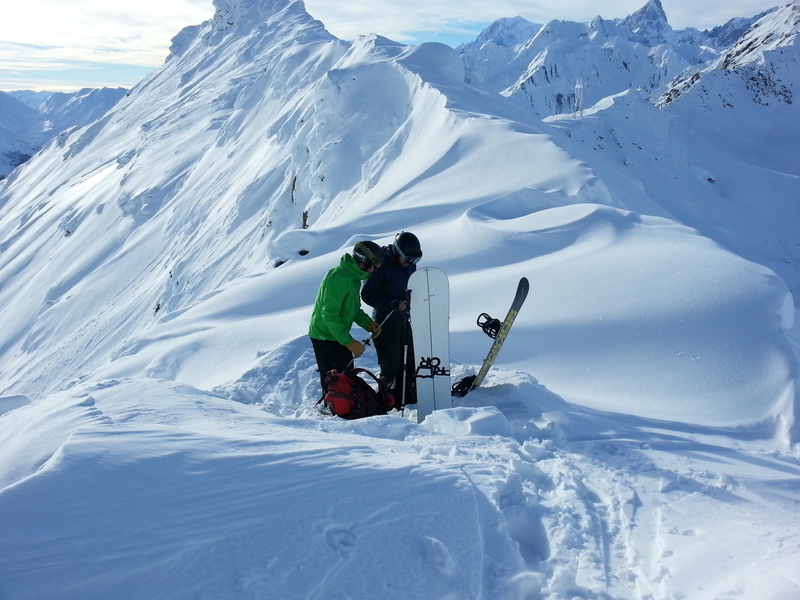 Its a great place to base yourselves in order to explore the area over a period of time and Whitelines Magazine recently named it as one of the best backcountry huts for snowboarding. The drive from Chatel to St Bernard is just over an hour and ( after a false start the week before due to low cloud ) we arrived in the bottom car park at 9am. The car park sits at around 1800m and doesn’t get sun so its always really cold there. With frozen fingers the four of us set up our gear and headed on up the road towards the col with the intention of going up and over to Mont Fourchon (2902m) which is a popular touring spot in the area. Its fun but nothing too gnarly as this was meant to be a pre-season warm up walk after all. It was a beautiful morning that’s for sure and after three quarters of an hour the top layers were coming off. 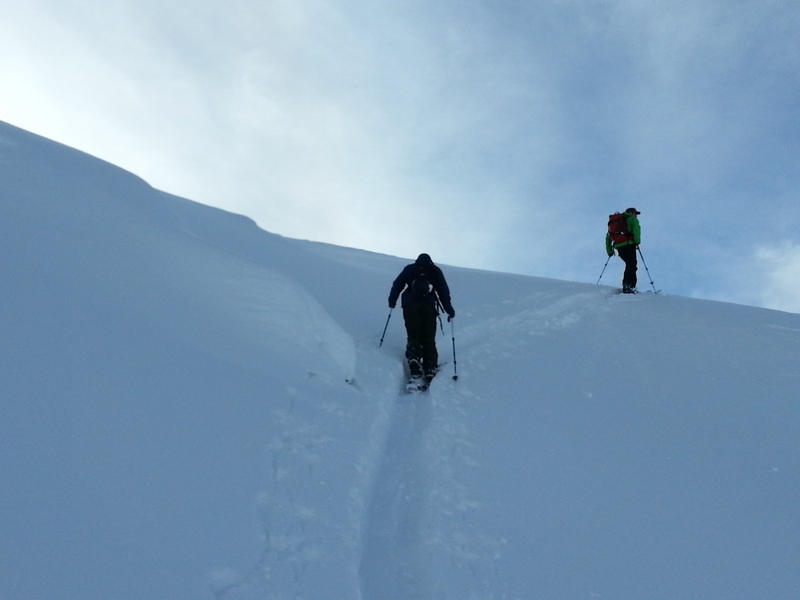 They do say ‘be bold, start cold’ when it comes to splitboarding but did I mention how cold the car park was?! It was around -5 degrees in the sun and the snow was cold and powdery. As the hospice came into view we began to get sidetracked by the possibility of a different option off to our left which a quick look at the map confirmed as the Pointe de Barrasson. The carpark had been busy and we figured that most people had headed to where we had originally intended to. 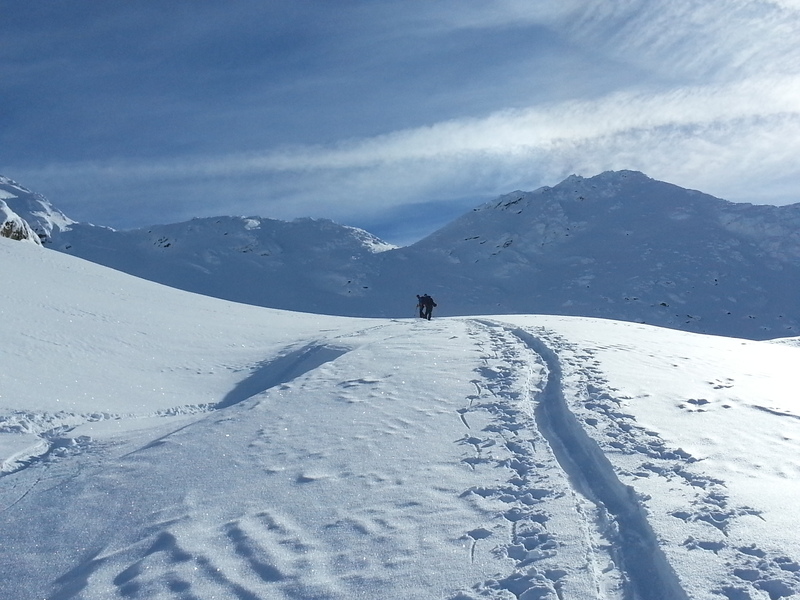 With a single skin track snaking off to our left up and through some glistening powder we decided that we would rather take a shorter walk and ride fresh than take a longer one and find it tracked out. The approach to the start of Pointe de Barrasson isn’t difficult but it is a long old trudge so on the two hour mark we stopped whilst still in the sun for a quick lunch and to scope out the possibilities. With lunch eaten we started to make the skin up towards the East face. The approach terrain terrain was steep in places and undulating in others but the snow was good and grippy and we didn’t even need to use the heel risers until we got to the start of the slope proper. 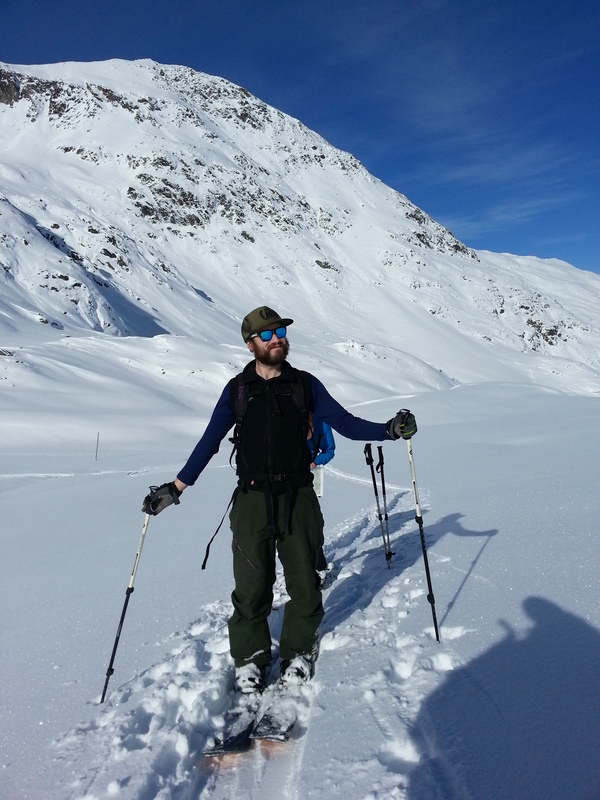 Did you know that it is actually illegal to splitboard without a beard? Halfway up the East face we watched with mixed feelings as two skiers started the descent of our chosen line on the North face. They put in some lovely turns and exited hard right before the cliffs at the bottom. Fair play as the early bird catches the worm! The option was to carry on from where we were and bootpack the ridge or to ride down from where we were. The wind had picked up significantly by then and the prospect of climbing without crampons etc wasn’t too appealing so we decided to head on down. It was ultimately worth the trip. Even though we didn’t ride the line we wanted we still had some great turns and cold face shots as the fresh snow was probably 25cm in depth. We still managed to find a rock though! Windlips and other natural features made for some fun riding further on down too. Back in the car park (still cold!) we drank a beer and packed away our kit before heading back to Chatel. The conditions in the Alps this week are warm. 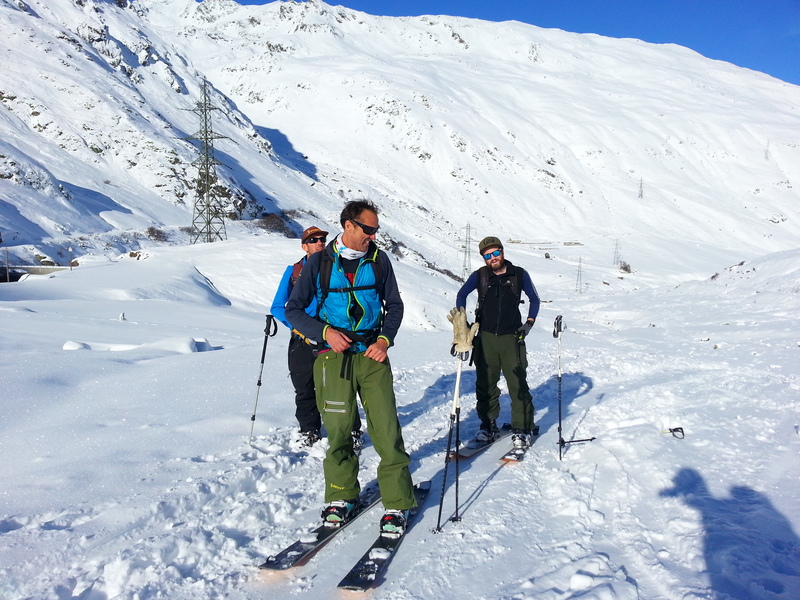 However, the Grand St Bernard isn’t too bad right now and we are heading back on Friday to ride that line. We’ll let you know how we get on. @ChristianBrasso @PoldarkTV 8 8 8 8 jours l a h c c of n.